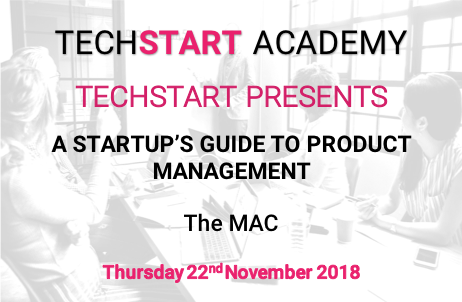 Join the Techstart Academy for A Startup's Guide to Product Management. Tools & Techniques from industry experts on how best to Manage your Product. What is a Product Manager (PM) & demystifying what do they really do. How a PM can help you obtain Product Market Fit, and much, much more! Speakers include industry experts: Emma Mulholland, Graeme Stuart and Mark Cusack.